As we enter the holidays, group fields of consciousness emerge. These can be supportive or not so. We may revel in the rise of kindness, warmth, generosity, ritual, ceremony, connection and community. Some may also struggle with the pulls into consumption, over-doing, stressful family dynamics, sadness, chaos, and acting out old roles & patterns. 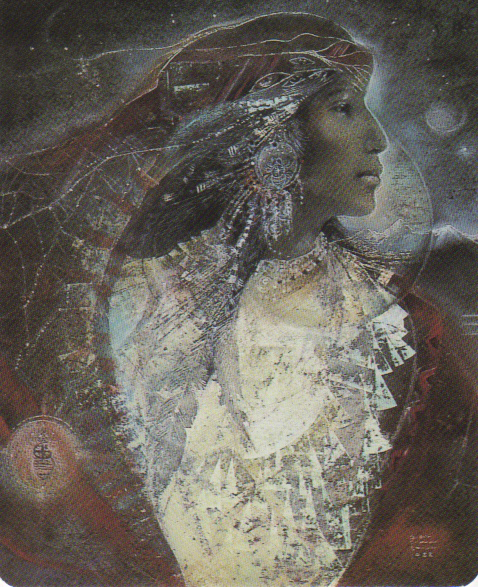 The message for us this next 7 days or so, is about how we navigate these fields, stay connected to our own sense of the self- (the self who is wise & resourceful, in her/his creative essence & joy...), which cultivates inner and outer harmony. Arnold Mindell in his book, The Leader as Martial Artist, speaks of how fields exist all around us all the time. We feel them, consciously or unconsciously, and they, like gravity, can pull on us and draw us into certain emotional states, behaviors and roles. Ever notice yourself behaving in an old way around your family or with an old friend you haven't seen in awhile? This is in part because of the fields that exist. They are an energy that organizes and effects everything within it's proximity. (Mindell). Being aware that fields exist, have an effect, and that you may be embarking into some pretty strong ones this holydays season, can help you navigate and keep an anchor into your own personal field and intentions (which is much of the work I love to do with people!) Anchoring into your own energy, helps you be centered in your heart, your inner wisdom, and authenticity. It can help you resist the gravity pull into what doesn't nourish you (and by nourish I don't mean everything is sweet and easy), to make another choice, and free you up to express and Be in a way that you feel good about. First, be gentle with yourself. Don't expect perfection. Relax and trust yourself. Take time to connect with yourself. Sometimes 15 minutes alone can do wonders. When I'm staying with family, I will usually at least twice a day, say something like 'I'm going to go read for a little bit" or "rest my head/take a nap" "check my email", or "meditate"... It's perfectly fine to take some time for yourself. Even if you don't feel you need or want to, it might really be beneficial. Especially for people who are sensitive and empathic, a little space and time alone can be clarifying, reset your healthy boundaries, and set you back into a grounded perspective. Be gracious and grateful. This can go a long way to actively create a field of positive energy. Be aware and don't engage in fields that don't serve you. You don't have to step in and solve family disagreements, or eat another piece of pie or sit and watch TV...etc. What roles do you usually end up in?- Want to try something different? Changing the field - Fields evolve (Mindell). What happens if you consciously choose something different, step out of your usual role, or bring in a new part of you? There might be resistance, the response might not be what you'd like, but you also might feel more alive and authentic. Music, movement, movies, a shift in focus- these can all have a positive effect on a field, both your own and that of a group. So most of all Be You, within yourself, as you flow through the Holydays, and be open to your evolution as well. How does the card above speak to you? 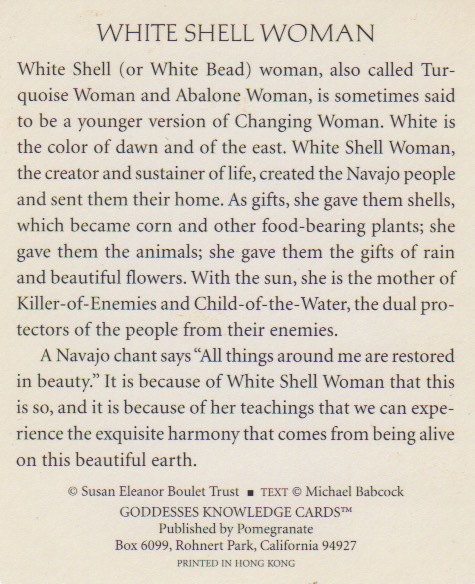 You can call on White Shell Woman to support you, to clear and strengthen your energy field. Set some reachable intentions every morning. Intentions help with anchoring into the consciousness you'd like to be and bring. Wishing you much love, kindness and warmth this holiday season and into the New Year!